Testimonials - Denise Purcell, Royal LePage Real Estate Services Ltd.
Denise guided us through the purchase of a home in Oakville and the sale of a condo in Toronto with the utmost professionalism and patience. Always willing to accommodate our hectic schedules, Denise made the purchase and sale processes efficient and enjoyable. One of Denise’s great strengths was her ability to quickly understand and interpret our changing needs and expectations, and present us with opportunities that lined up with those needs and expectations. Denise carries herself with a great deal of integrity, has excellent judgment and knowledge of the market, and we would certainly highly recommend her expertise and services to anyone looking to buy or sell a property. Denise is a first-class real estate agent; with her warm personality she easily connects to both clients and colleagues. We contracted her to sell our home and she was always available for advice, while her expertise and tireless commitment ensured that the sale of our property left us with satisfaction. Thank you, Denise! I have worked with Denise for several years now and know her to be an excellent sales representative. Denise's attention to her clients, and professional experience will impress you. 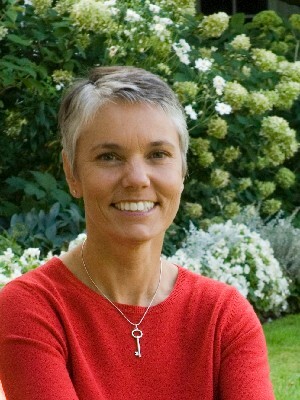 Denise Purcell is a competent and personally committed real estate professional. Fundamentally, results matter and Denise helped us to meet and exceed our real estate goals. She has our full trust and we highly recommend her to anyone who may be buying, selling or leasing their property. We engaged Denise to sell our Oakville home as well as look for our new home. She was both professional and patient with us and helped us better understand the process. She was always looking out for our interests, and was available anytime for questions. She is very trustworthy and we would use her for our next move. Denise has always exhibited integrity and attention to detail with every encounter. Whether it is to help with information or around a transaction. She is willing to stretch the boundaries of the duties expected of a real estate agent ensuring client satisfaction. I would highly recommend Denise to anyone looking for a committed realtor with high integrity. Denise definitely went above and beyond in not only selling our house but finding us a new house that perfectly suited our needs. She was a pleasure to deal with and I will definitely use her again. I would highly recommend working with Denise. One of her strongest qualities is her integrity (something not always found in a real estate agent) and her commitment to helping you find your dream home. She is knowledgeable, great to work with and has a detailed knowledge of the industry. Denise is an AMAZING Real Estate Agent. As a "First Timer" I was very nervous and unsure about my first home purchase. Denise ensured that I had a clear understanding of everything that I needed to do and got me a GREAT price for my Condo! I highly RECOMMEND Denise to anyone looking to buy/sell their home/condo. Denise helped us buy our dream home in a very difficult and stressful market, and was supportive, candid and results-oriented throughout that process. We definitely recommend her services at Royal LePage! Denise Purcell is a well-informed, hard-working professional who assiduously seeks her client's interest. She has been most helpful and effective on every occasion that we have used her services.